Core/shell hetero-nanostructures of hydrothermally synthesised cobalt and nickel ferrites are shown to exhibit novel magnetic properties. 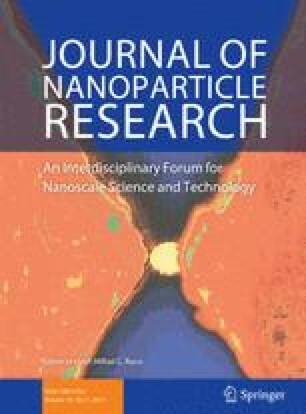 The compositions and phase distributions of homogeneous Co0.5Ni0.5Fe2O4, and core/shell NiFe2O4-Core/CoFe2O4-Shell and CoFe2O4-Core/NiFe2O4-Shell nanoparticles (NPs) are confirmed using high-resolution transmission electron microscopy and electron energy loss spectroscopy. SQUID magnetometry investigations demonstrate that, at room temperature, homogeneous Co0.5Ni0.5Fe2O4 NPs (~8 nm in diameter) are in the super-paramagnetic state, the magnetisation of NiFe2O4-Core/CoFe2O4-Shell NPs (~11 nm in diameter) is partially blocked, whilst CoFe2O4-Core/NiFe2O4-Shell NPs (~11 nm in diameter) are in a blocked state. In particular, NiFe2O4-Core/CoFe2O4-Shell NPs exhibit twice the out-of-phase χ″ susceptibility of CoFe2O4-Core/NiFe2O4-Shell NPs, being dominated by the magnetisation of the core ferrite phase. Hence, when exposed to a high-frequency magnetic field, it is considered that the high χ″ susceptibility of NiFe2O4-Core/CoFe2O4-Shell NPs will promote large magnetically induced heating effects, making these core/shell NPs strong candidates for hyperthermia applications. The online version of this article (doi: 10.1007/s11051-014-2395-1) contains supplementary material, which is available to authorized users. The authors would like to thank the Engineering and Physical Science research Council for financial support.